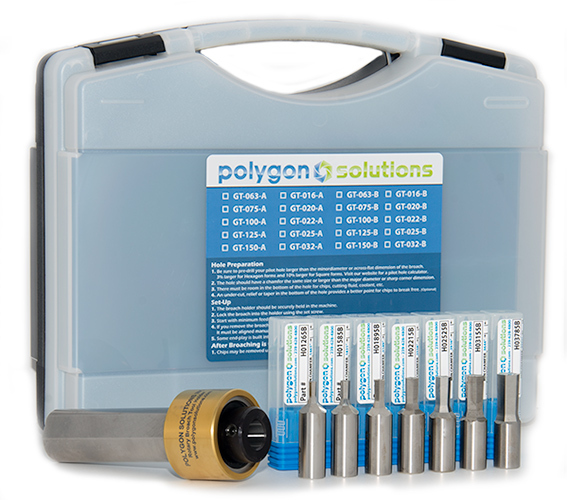 Polygon’s Rotary Broaching System Starter Kit includes our innovative rotary broach holder and a set of standard size rotary broaches. Available with 1/2″ shank or 8mm shank broaches. Save over $100! Includes Polygon’s GT Series Innovative Rotary Broach Tool Holder. 1/2″ Shank Rotary Broach Kits include: 1/8″ Hex, 9/64″ Hex, 5/32″ Hex, 3/16″ Hex, 7/32″ Hex, 1/4″ Hex, and 5/16″ Hex Broaches. 8mm Shank Rotary Broach Kits include: 1/8″ Hex, 9/64″ Hex, 5/32″ Hex, 3/16″ Hex, 7/32″ Hex, 1/4″ Hex, 5/16″, and 3/8″ Hex Broaches. 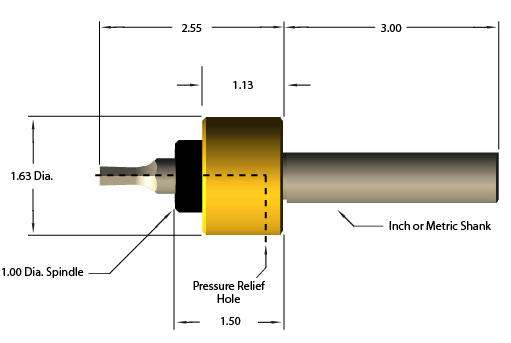 1/2″ Shank Metric Rotary Broach Kits include: 4mm Hex, 5mm Hex, 6mm Hex, 7mm Hex, 8mm Hex, 9mm Hex, 10mm Hex Broaches. 8mm Shank Metric Rotary Broach Kits include: 1.5mm Hex, 2mm Hex, 2.5mm Hex, 3mm Hex, 3.5mm Hex, 4mm Hex, 5mm Hex, 6mm Hex Broaches.